I was born in Talladega to Marvin and Reajean Moten. I attended Stemley Road Elementary School and then Talladega County Central High School. At the high school level, I enjoyed playing basketball. During my senior year, my team was a big success, participating as part of the Final Four Basketball Tournament. After high school, I attended Oakwood University and majored in Social Science Education. While in college, I met my lovely wife, Tiffany (Small) Moten. After college, I completed an internship at Butler High School in Huntsville. 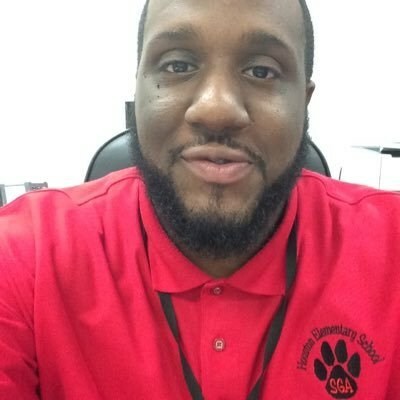 Immediately following my internship, I accepted a job teaching history at Anniston High School in Anniston, AL. During this time, I not only worked as a teacher but also as History Department Chairperson and the Chairman of Curriculum. My colleagues and I created an Africian-American History class that became a model for Alabama public education. Because I was concerned about students outside of the classroom, I initiated a mentorship program for impoverished middle school students. In 2013, I assumed my first administrative role as assistant principal at Zora Ellis Junior High School. In September of 2014, I accepted the opportunity to become the principal of Evelyn D. Houston Elementary School. I believe very strongly in the abilities of our faculty, staff, and students. I hope to ensure that every member of our school community builds on his or her own personal strengths and talents. My goal for Houston is to be the best school in the state: a leader in education, innovative thinking, and curriculum design. I am excited about giving back to a community that has given so much to me.